Combining form and function, this stainless-steel grating, shredding and slicing tool boasts a sleek and contemporary design. Easy to use and easy to clean, it takes all the hard work out of preparing food and has all the features for expertly slicing and shredding vegetables. 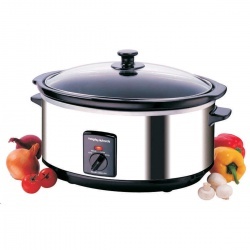 Prepare healthy and nutritious meals within seconds. 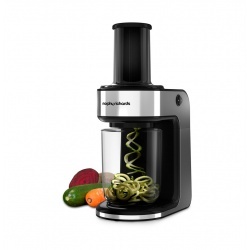 The Morphy Richards 432020 Spiralizer Express cuts vegetables such as courgettes into fun spiral and spaghetti shapes using two interchangeable steel blades that help you add variety to your meals. It's perfect for encouraging children to eat their greens. Cleaning your Spiralizer is easy, too. 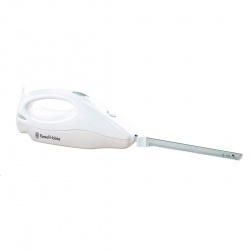 Simply rinse either of the two supplied stainless steel blades under running water. The Spiralizer Expressmakes cooking and cleaning up afterwards easier. Kenwood Triblade Hand Blender HB710 gives you powerful and controllable blending at the touch of a button. The 700W motor and three blade system works with the unique foot design to chop and blend ingredients as efficiently as possible. The Triblade is designed to help maximise user comfort with a SureGrip handle for use with greasy or wet hands and a narrow top so that it is balanced in the hand. The Kenwood Triblade system is the first hand blender to use 3 blades providing super fast and efficient blending. The blades are also angled to sweep through 3 different paths providing 3 levels of cutting per rotation. The fuss-free way to make delicious soup, just the way you like it. In as little as 21 minutes, you can be sitting down with a bowl of fresh, homemade and nutritious soup. For quick, even slicing and cutting of ingredients. Take the time and effort out of food preparation with the Kenwood Premier Major Mixer KMM710, featuring an extra large mixing bowl. This versatile Kenwood food mixer features a powerful 1200 watt motor capable of tackling any job. Metal gears and increased motor power combine for optimum durability, reliability and strength. 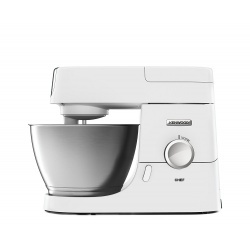 It uses Kenwood's famous planetary mixing action to ensure all your ingredients are perfectly mixed in the large 6.7-litre bowl, with no unstirred pockets. With variable speed and pulse options you can ensure optimum mixing whatever you are cooking up, from a fruit cake mix to a meringue, with speed and power maintained regardless of load. 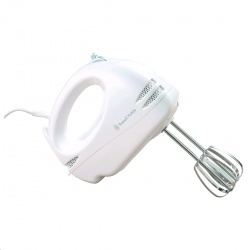 The Kenwood Premier Major Mixer KMM710 comes with 3 dishwasher-safe mixing tools for specific baking tasks - K-Beater, wire whisk and dough hook. The Kenwood Premier Major KMM710 is a smart and very robust kitchen machine for someone who likes nothing more than to get busy creating delicious meals and baking delights. The Kenwood Premier Major KMM710 is a smart and very robust kitchen machine for someone who likes nothing more than to get busy creating delicious meals and baking delights. Major-sized bowl tools give it an extra edge in everyday family fare and fine dining. With a 1200W motor and three power outlets and huge choice of attachments, the Premier Major KMM710 has all the everyday power and versatility to make light work of kneading heavy dough and mixing complex ingredients. The all-metal body, gears and motor of the Premier Major KMM710 work together to ensure smooth, reliable mixing, time after time, day in, day out. Instead of following the routine circular motion used by most mixers, our total mix planetary action thoroughly combines every ingredient inside the bowl, including all the mix that would otherwise stick around the sides and the base. This gives you a consistent mixture and better results, whether you’re whisking up a single egg white or kneading kilos of dough. A test of good performance is how well the ingredients are mixed in the bowl. While most beaters rotate in a circular motion the Kenwood bowl tools move in a planetary motion. Kenwood’s total mix planetary action means that while the beater revolving in one direction, the socket turns in the opposite direction making sure that all the mixture is picked up from around the bowl. It is consistent whether you are whisking one egg white or bread dough. Generous 6.7 litre bowl for all kneading, mixing and whisking requirements. This outlet is located at the back of the head of the machine and uses the maximum amount of wattage to drive the high speed attachments. Use this outlet to run our blender, compact chopper/grinder, continuous slicer/grater, juice extractor and citrus juicer. Simple "pop-up" head lift for quick and easy tool change and bowl removal.